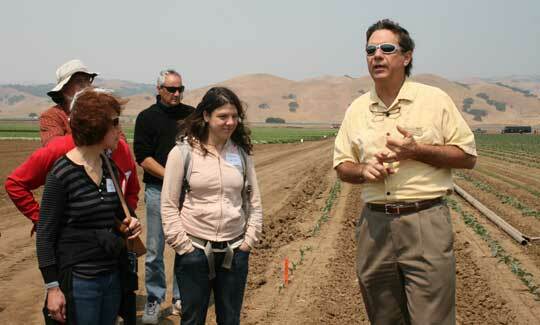 CGF Board President Matt Burrows welcomes guests to Farm Tour 2008. 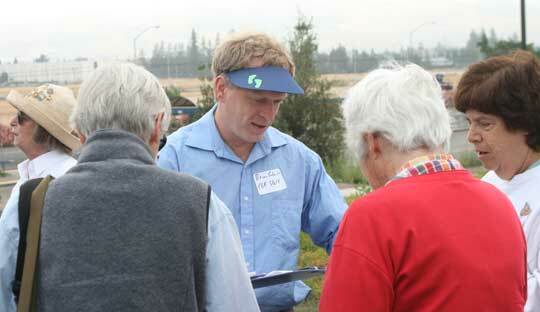 Brian Schmidt, CGF's Santa Clara County Legislative Advocate, greets members and guests. 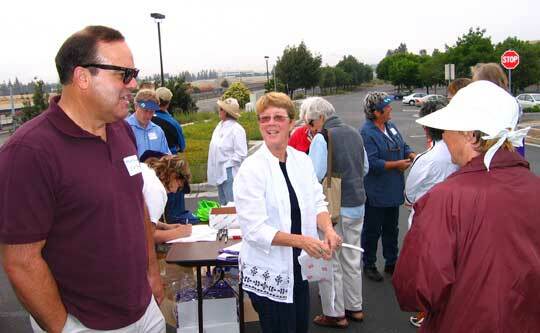 Brian assists members signing in for the Farm Tour. 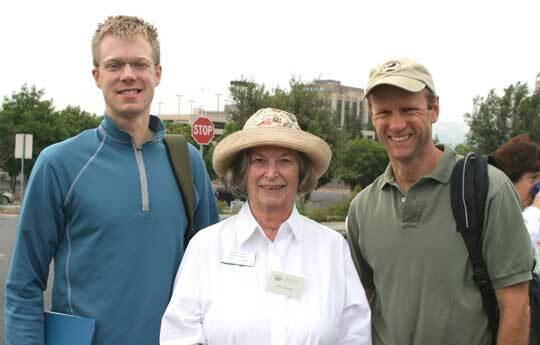 CGF Board member Mary Davey with Farm Tour guests. 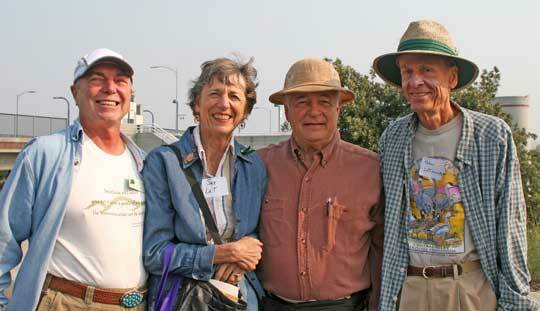 Matt Burrows, Jan Fenwick, Bill and Nancy Grove, Bob Fenwick. 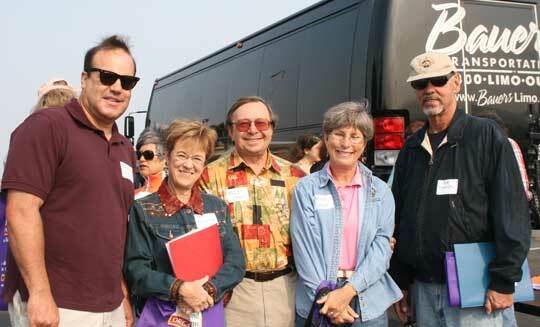 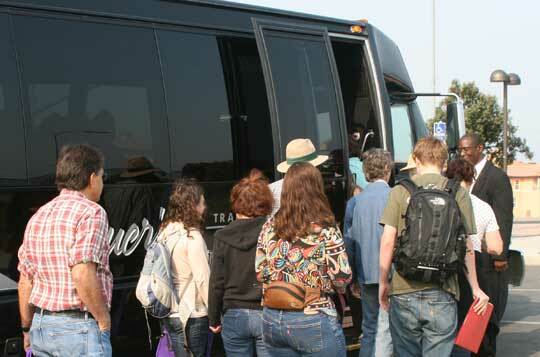 CGF members and guests get aboard for Farm Tour 2008. 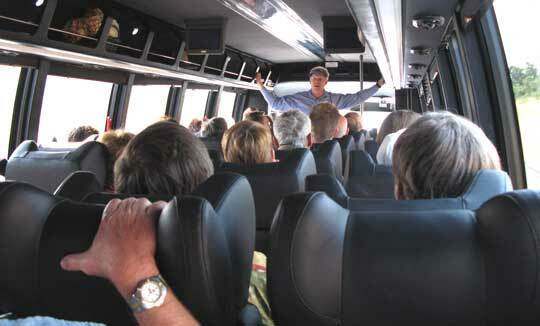 Brian Schmidt welcomed everyone and discussed the day's itinerary. 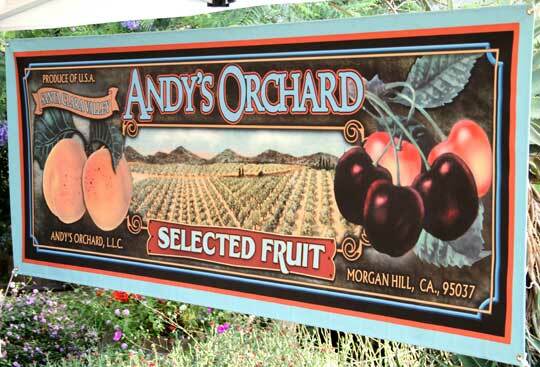 First stop, Andy's Orchard in Morgan Hill. 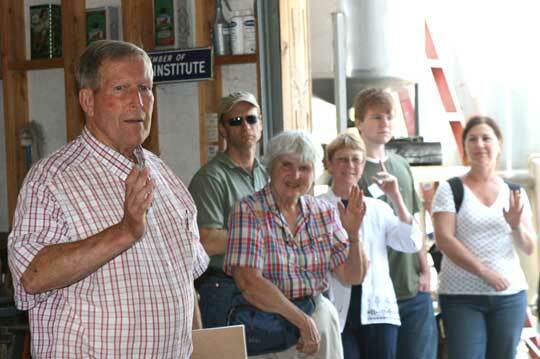 Andy Mariani talked of the history of his family-owned orchard. 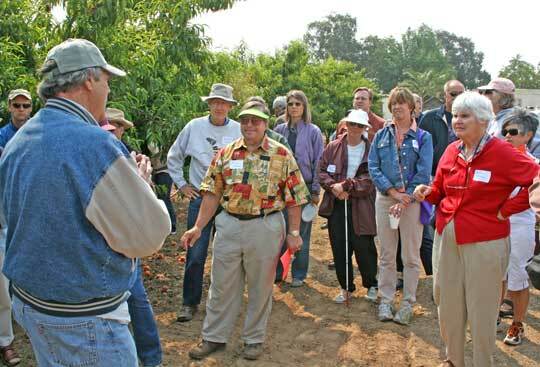 Farm Tour guests sample freshly picked fruit at Andy's Orchard. 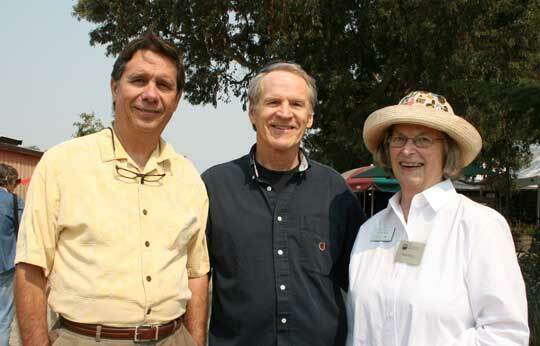 Craige Edgerton with Morgan Hill Mayor Dennis Kennedy and Mary Davey. 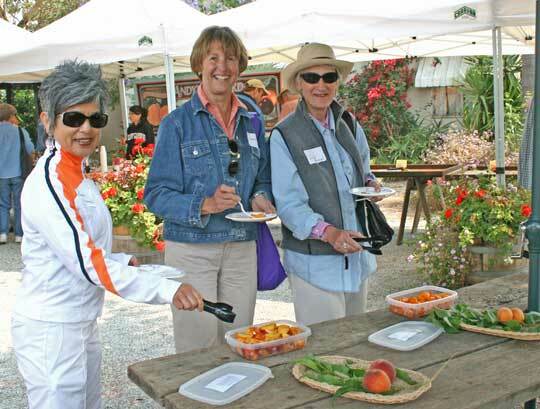 Andy's offers fruit tasting events weekly during the growing season. 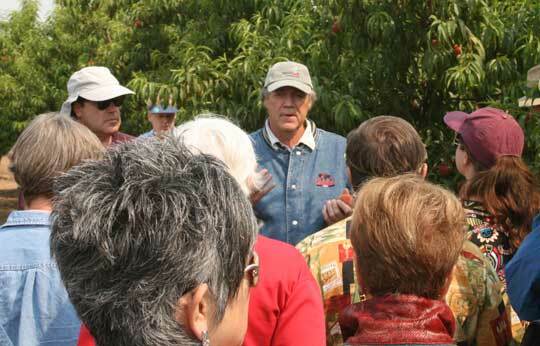 Andy explains his method for harvesting fruit at the peak of perfection. 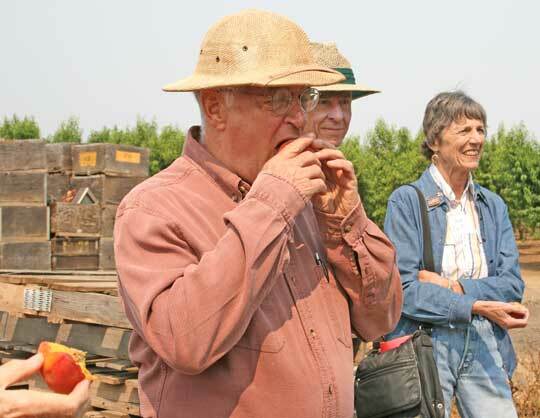 Tom Jordan tastes one of Andy's freshly picked peaches. 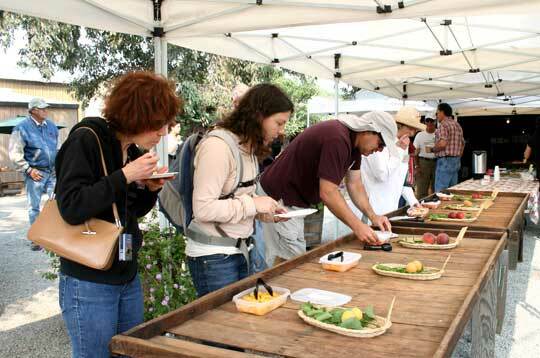 Andy urged us to taste fresh fruit as we would good wines to fully appreciate the flavor. 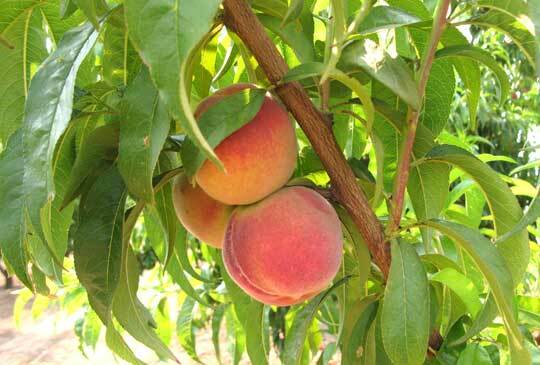 Fruit is hand-picked daily at Andy's Orchard at the peak of ripeness. 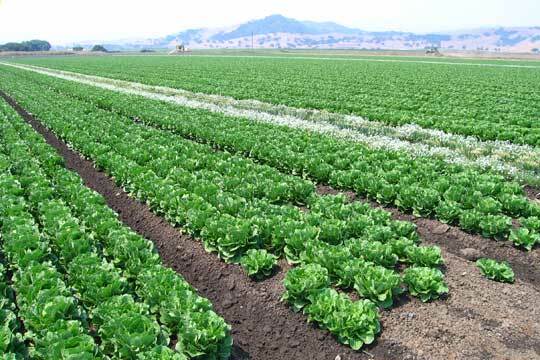 Rows of lettuce on Mission Organics' Pajaro Creek acerage in southern Santa Clara Valley. 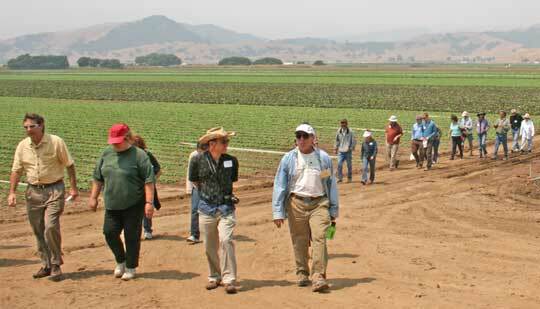 Farm Tour guests take a stroll through fields of organically grown crops. 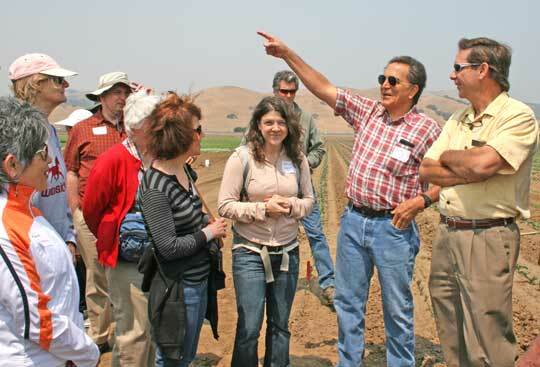 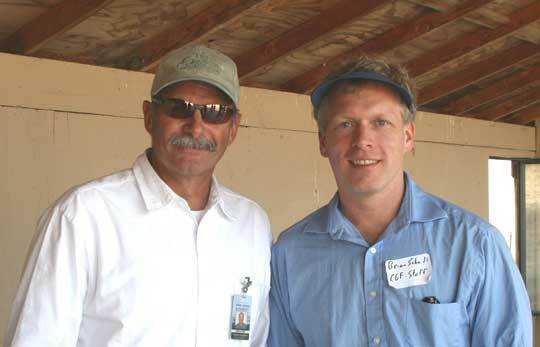 Dan Solomon Mission Organic Ranch Manager discussed methods for growing organics crops. 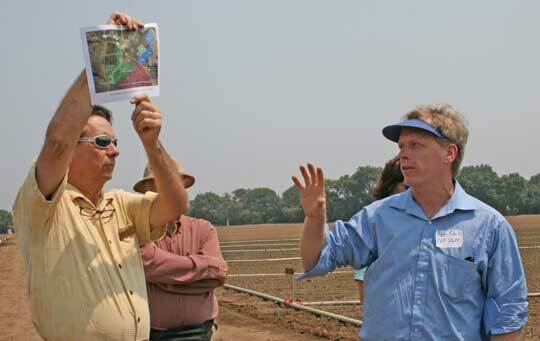 Brian explains the need to preserve tracks of farmland as part of our valley's open space. 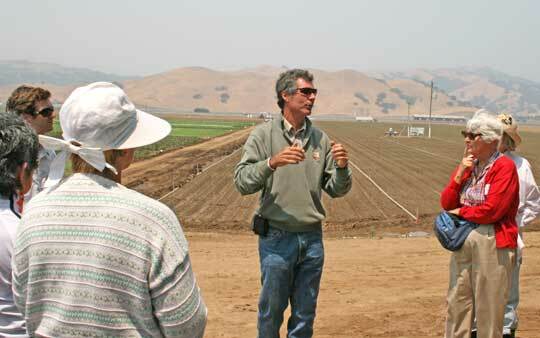 Bob Siegfried, Santa Clara Valley Water District, explained methods to conserve ground water. 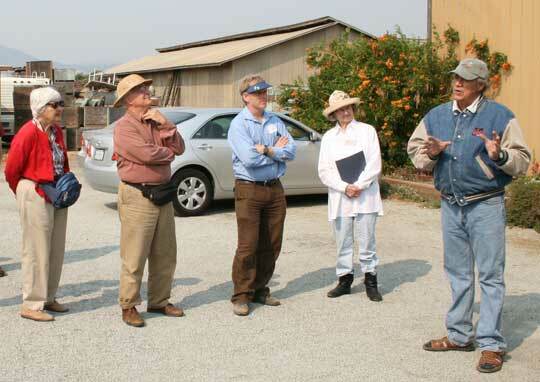 Craige Edgerton, Silicon Valley Land Conservancy spoke of ways to preserve existing farmland. 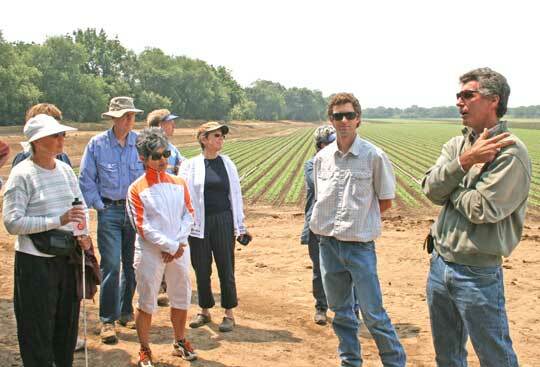 Mission Organics' Robbie Long and Dan Solomon manage farmland adjacent to Pajaro Creek. 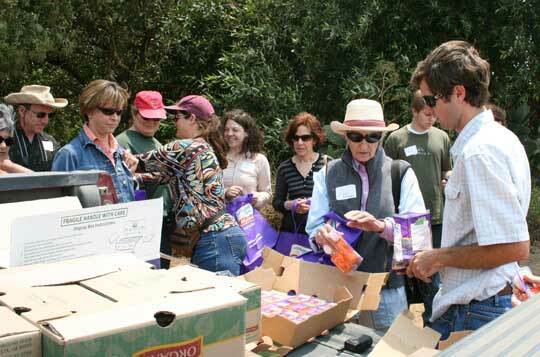 Robbie hands out samples of Mission Organic products to Farm Tour guests. 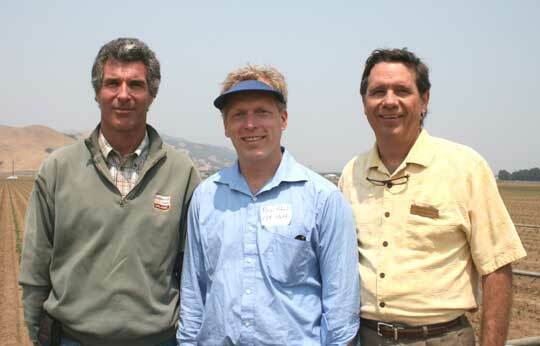 Dan Solomon, Brian Schmidt, Craige Edgerton. 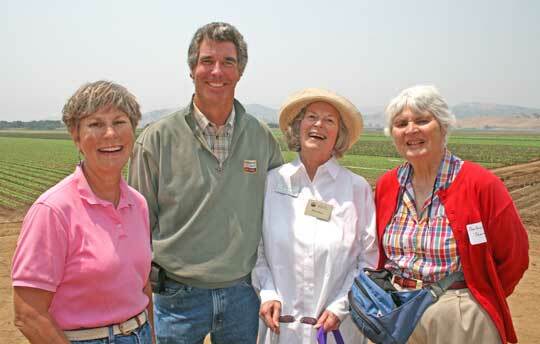 Nancy Grove, Bob Solomon, Mary Davey, Barbara Seaney. 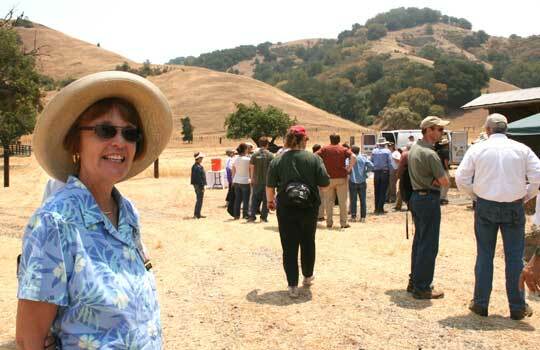 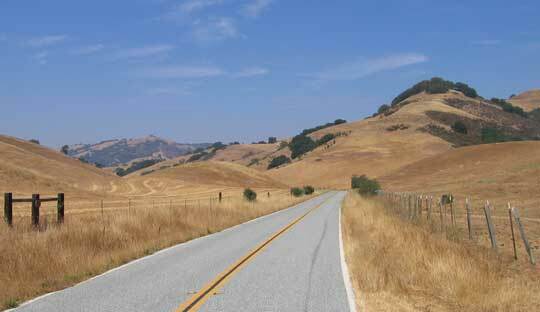 Farm Tour's next stop, OSA's Doan Ranch Preserve in the foothills above Santa Clara Valley. 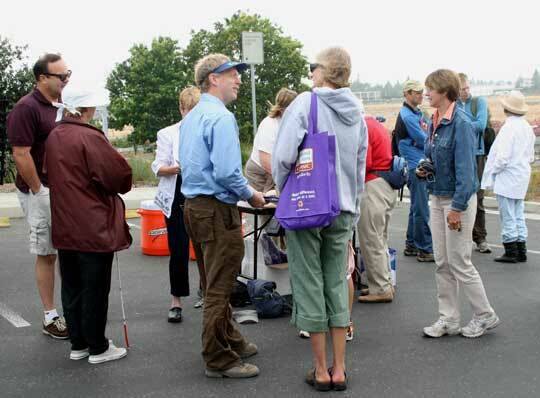 Lark Burkhart, OSA's Public Information Specialist, welcomes Farm Tour 2008. 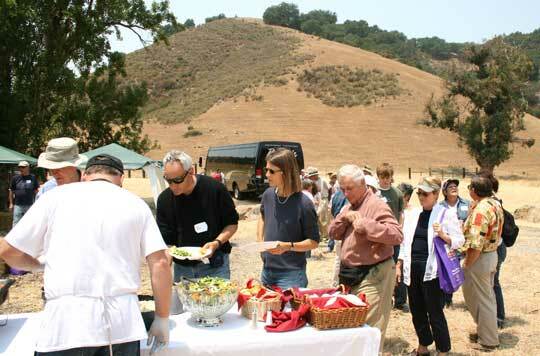 Farm Tour guests enjoyed a catered lunch during their visit to the Doan Ranch preserve. 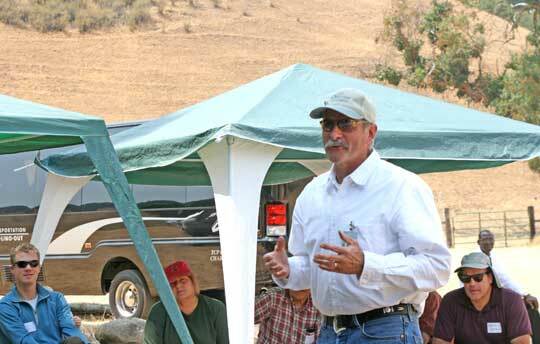 Patrick Congdon, General Manager, Santa Clara County Open Space Authority. 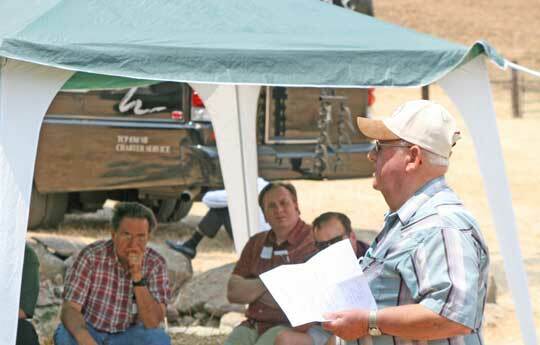 Fourth generation cattle rancher, Don Silacci tells of the challenges facing family own ranches. 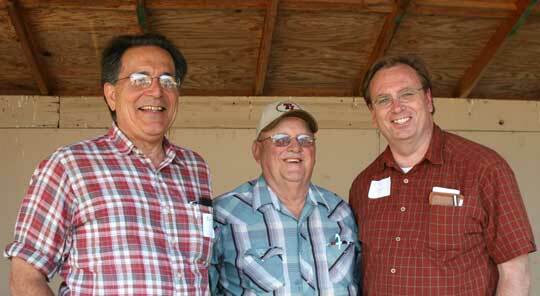 Bob Siegfried, Don Silacci, Ed Tewes. 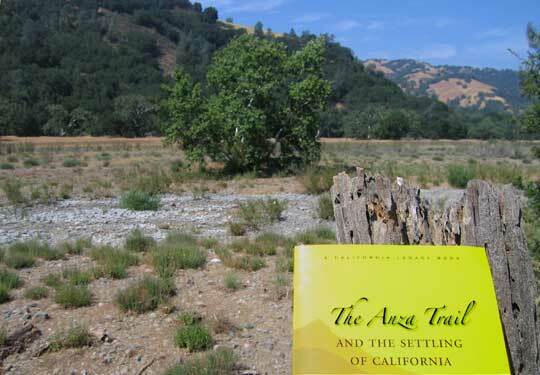 Farm Tour 2008 passed through foothills once explored by Juan Bautista de Anza. 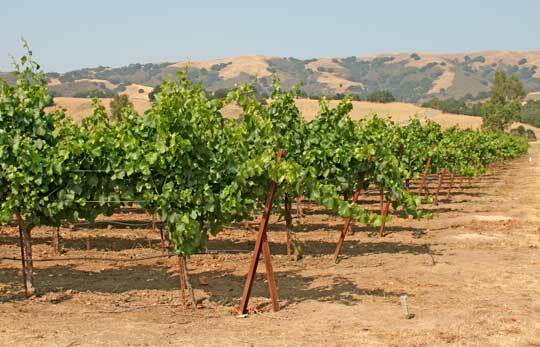 Our next and final stop, Thomas Kruse winery in the foothills above Gilroy. 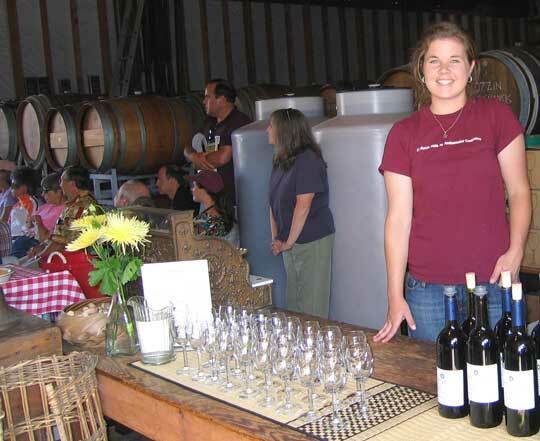 A welcome smile, glasses lined up for wine tasting. 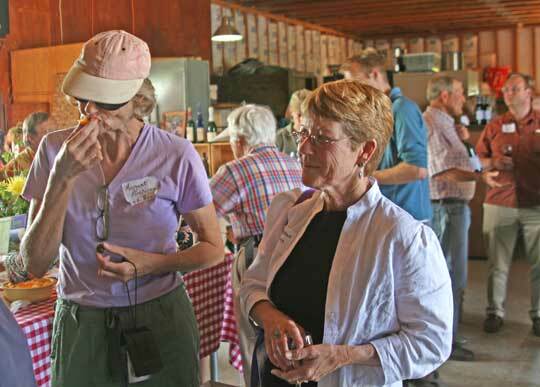 Farm Tour guests sampled fruit, crackers along with their wine. 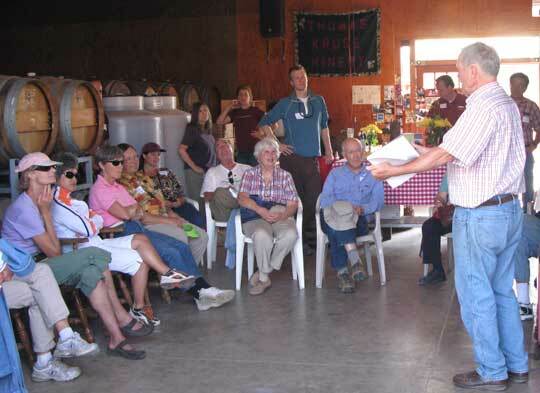 Thomas Kruze, welcomes Farm Tour guests to his winery. 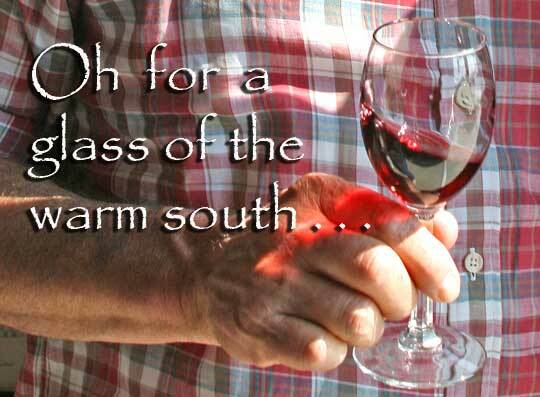 Tom asks for a show of hands of those who enjoy a fine glass of wine with dinner. 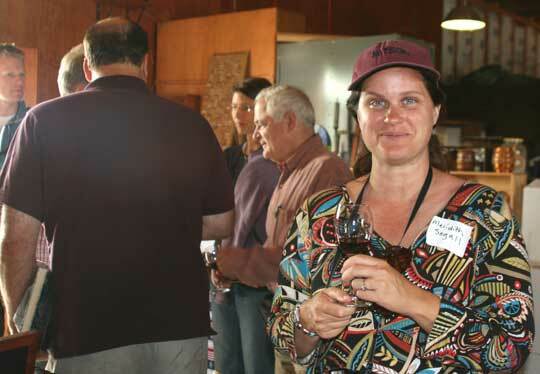 Meridith Segal with a glass of Thomas Kruse wine. 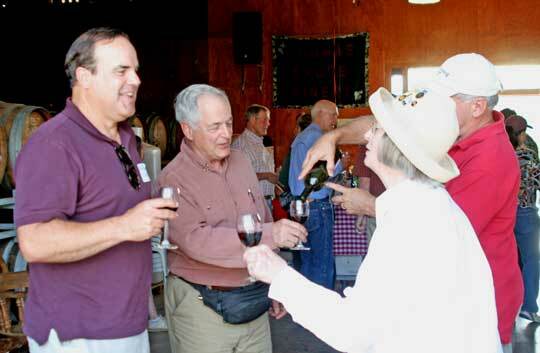 Matt, Tom and Mary share a toast near the close of a most memorable day. 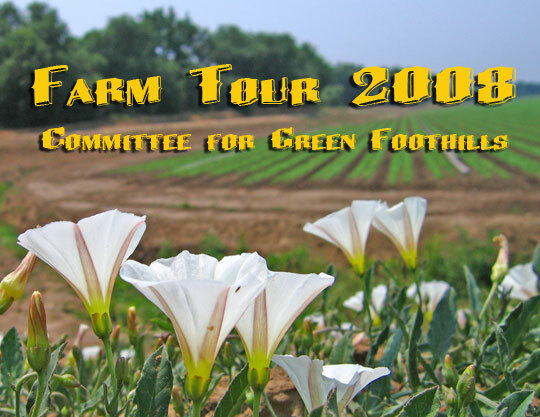 Special thanks to Committee for Green Foothills for hosting Farm Tour 2008.